Fred's Magic World is an extraordinary performance filled with mirth, magic and comical mayhem! The show features magic and comedy acts including a Houdini-like straitjacket escape, psychic sisters, a baffling memory exhibition, dexterous displays of sleight of hand, comedy improv (like Who's Line is it Anyway), and more! Fred Siegel is a magician and was a featured performer in Bradshaw's Circus of World Curiosities, a Coney Island freak show. 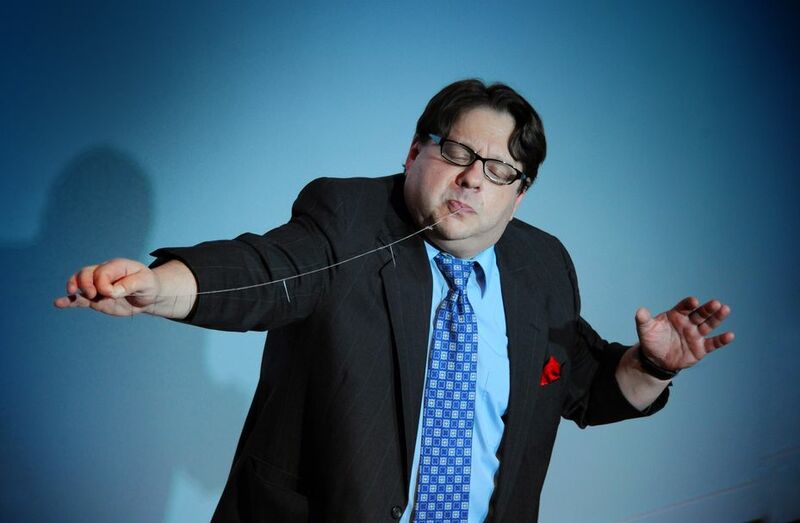 His magic world includes The Rosen Sisters (Gail Rosen and Deborah Rosen) who are award winning psychic entertainers and Eric Van Wie who is a Shakespearean actor, escapologist, and comedy chameleon. The Philadelphia Inquirer: "The wackiness of Fred's Magic World immediately caught our attention..."
The Philadelphia Daily News: "...a production that is like no other in Philadelphia." The Philadelphia Weekly: "...mind-boggling examples of magic and inspired bits of comedy." The Philadelphia City Paper: "The Rosen sisters are natural comedians...inspired lunacy!"